Dosbat: Welcome to the Anthropocene! 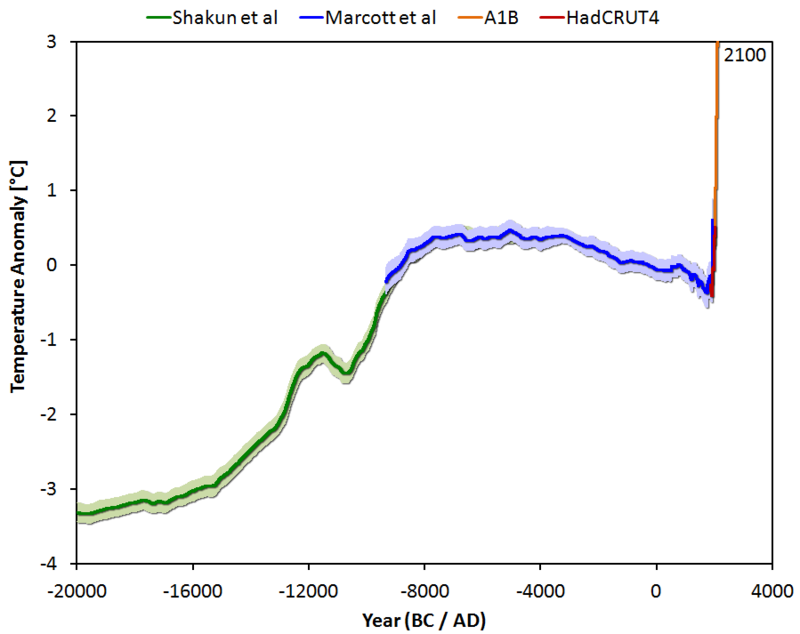 From RealClimate, a graph from the Marcott study into Holocene temperatures, which goes some way to explaining why sea ice is crashing now in a way it hasn't done since the mid Holocene (which was solar driven as further images and text on that blog post show. 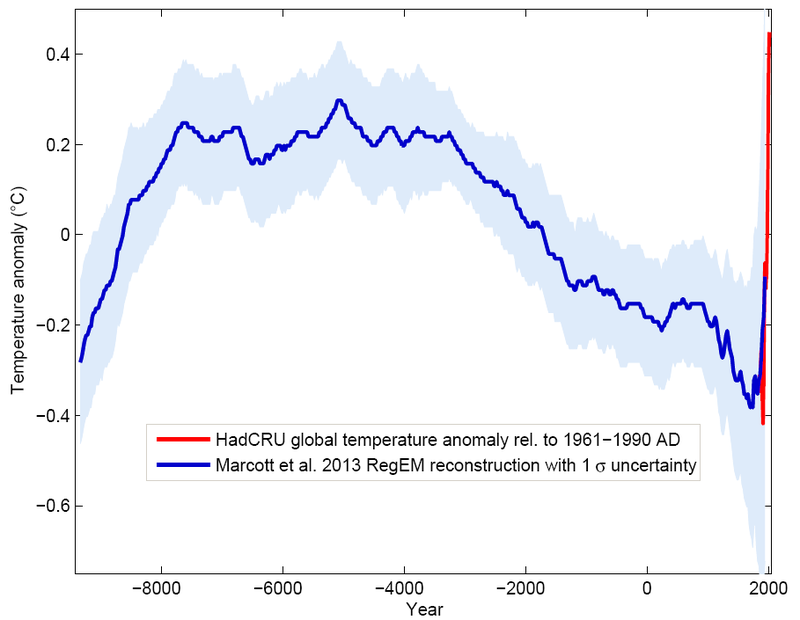 I strongly recommend popping over to RealClimate and reading the whole post.